The recently released QS Best Student Cities 2018 highlights 100 of the best places to be a student around the world, based on a methodology which considers each city on six indicators, including affordability, student view and desirability. But which cities made the top 10? Read on for a countdown of this year’s 10 best places to study abroad and find out why they’ve earned their spot. 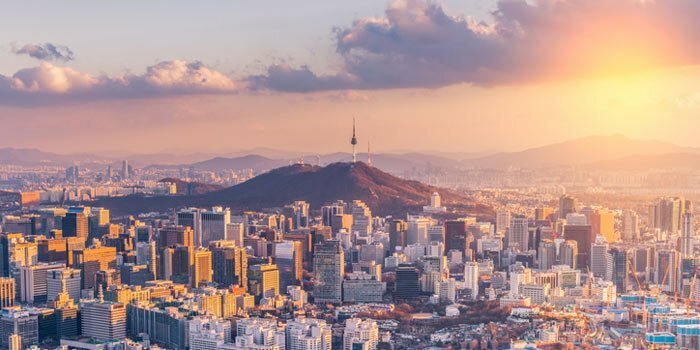 Ranked 10th in the Best Student Cities ranking this year, South Korean capital Seoul achieves its highest ranks for rankings and employer activity. Seoul is considered a leading and rising global city and is famed for its technologically advanced infrastructure, exciting nightlife, and K-pop music scene, with something for everyone and a 24/7 vibe. Climbing from 13th to rank ninth in the Best Student Cities index, Sydney is unsurprisingly one of the most desirable cities in the ranking (coming fourth for this indicator) thanks to its high quality of life, beaches and laidback lifestyle. It’s also one of the most diverse cities in the ranking, coming second after Melbourne for the Student Mix category, and climbed 29 places to 14th in the Student View category. Also climbing to the top 10 this year is Zurich, Switzerland’s largest city, which is up from 15th to eighth. 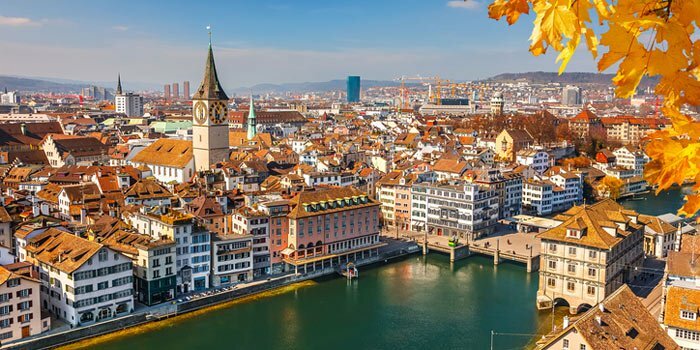 The city boasts an attractive spot on the northern shore of Lake Zurich, surrounded by snowy mountains, and is consistently named one of the best in the world for overall quality of life. Unfortunately, living costs in Zurich are very high, but for many students it will be worth every penny. Ranked seventh in this year’s city ranking, German capital Berlin is flourishing as one of Europe’s coolest urban hubs, and continues to rise in popularity with students, claiming eighth place in the student view indicator this year. It also receives the highest score for affordability of the cities in the top 10, thanks to lower living costs than Munich and no tuition fees (regardless of nationality). It’s home to some of the best universities Germany has to offer, including Humboldt-Universität zu Berlin at 120th in the QS World University Rankings® 2018. Staying in Germany, Munich is up three places to rank sixth in the Best Student Cities this year, overtaking Berlin in the process. It also climbed an impressive 24 places in the student view indicator to now rank second among students, who love the highly enjoyable Bavarian culture on offer here. They’re also very attracted by Munich’s excellent economy. French capital Paris was the number one student city for four consecutive years until 2017 and is now ranked fifth among the best places to study abroad in 2018. It’s also second, just one spot behind London, in the rankings indicator, with a whopping 18 internationally ranked universities to choose from, including ENS Paris at 43rd in the world. Not only is ‘the ‘City of Lights’ a stunning place to live, it also offers rich and vibrant culture and cuisine. Montréal drops from first to fourth in this year’s Best Student Cities ranking, but climbed to number one in the student view indicator (overtaking fellow Canadian city Ottawa as the most popular city according to students). The city earns plenty of praise in our student survey, with one respondent describing it as “…cultural, young and lively. It has absolutely the BEST foods, a European feel, study cafés everywhere, and beautiful people from all over”. Ranked third this year, Melbourne is known as Australia’s cultural capital, with a jam-backed calendar of cultural events. It’s been recognized as a UNESCO City of Literature and is a major center for street art, music and theater. Melbourne achieves the highest score in the whole index for student mix, thanks to a large and diverse student population. Tokyo is up from seventh to second in the city ranking this year, achieving a higher score than any other city for employer activity, which is perhaps unsurprising as the city boasts the largest metropolitan economy in the world and a reputation as one of the world’s major financial centers. It’s also second, behind Toronto, for desirability and comes within the top 20 according to student’s views, with one student calling it “…an advanced city, also safe and beautiful”. Finally, number one in our list of the best places to study abroad is the UK capital London, topping the list for the first time in 2018. London also claims first place in the rankings indicator, with 19 internationally ranked institutions based here. Two of these are ranked within the world’s top 10: UCL (University College London) and Imperial College London (ranked seventh and eighth respectively). London’s diversity is also a strong attraction for many students, with the city featuring in the top 10 for student mix (1.8 percent of its 13.8 million residents are students, and 41 percent of its student population come from outside the UK). However, the city’s climb to number one this year is likely helped by its improved score in the student view indicator, showing that the city continues to be hugely popular despite concerns after the UK’s Brexit vote. Think your student city deserves to be in the top 10? Take our short survey, and help create next year’s edition of the QS Best Student Cities index.